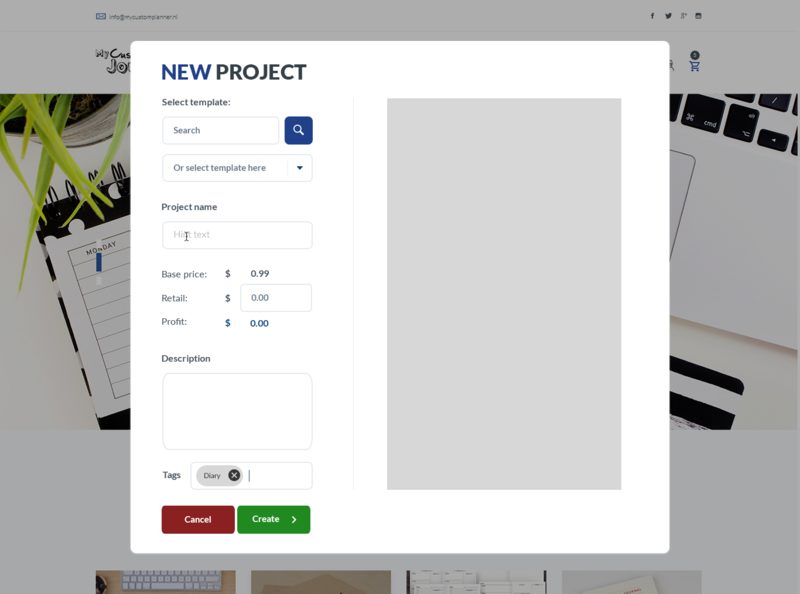 We are about to launch a print on demand platform that makes it simple and easy to create and sell customized versions of products people use every day. And how you can be a part of it (or if you already are, how to ensure your active spot). First, I want to briefly tell you how this came about, especially if you’ve never heard of me or our system before. If you’ve followed me any time in the past few years, you already know this – but for those who don’t, let me explain a bit about me and why I created this… and exactly what we’ve created. Not just that, but how I’ve just taken it to an even higher level than ANYONE thought possible. Don’t worry – I’ll keep it short ;). I started online ​over 21 years ago – in May of 1997. I was a stay at home mom and due to the high costs of daycare and other factors, it wasn’t practical for me to go out to work. So I started my business, and… I started making money in my first month. That really doesn’t matter a whole lot except to say, I am not a newbie by ANY means online. Now – let me clarify – I’m NOT about to show you anything you need for time management or organizing. But for the next few minutes, I’m going to explain to you how this came about. So about 10 years after I started working online… in 2007 I found myself completely overwhelmed. Not only was I running my business, but I was also – as many of you are – a mom (parent), a wife, a sister, a daughter, and a friend. That meant, while I worked all day, my evenings and weekends were swamped with the rest of life’s responsibilities and choices. While I like a few shows on TV, it’s never been my thing, mostly because I didn’t have time for it. I worked a lot of evenings, essentially any time that wasn’t family time. I was beginning to feel like I couldn’t get anything accomplished, because I was so disorganized all the way around. I knew I had to get a grip on all of it. I was tired of working all hours. I was tired of trying to fit everything in, and I had too many things pulling me in different directions, that needed some control. I started to search for planners and schedulers that I could use… and no matter what I tried, NOTHING worked. I bought the best one that seemed to work, and it still didn’t. So the next year, in 2008, I refused to buy another planner that wouldn’t work for me, and I started creating my own. To make a long story short, I’ve updated mine every year since, and started having people ask me to create ones for them, but they wanted different than I had. ​(HEADS UP: Yes, there are shutterstock watermarks. YES I PAID for these, I do have the proper licenses and can prove it - I simply haven't updated the video just yet with the unwatermarked images. That's why it hasn't released to the general public... plus the fact that I need to do a couple of updates to the year/date, means recreating the entire video. Shutterstock ALLOWS you to download "demo" versions of the images and video clips clarifying to you that it WILL show the watermark until you purchase and download the unwatermarked versions. (If you doubt, go try it). So yes, I HAVE paid for them and can prove it, for anyone doubting ;). It'll be updated soon). For those doubting... below is a screenshot of a portion of the purchase history. I scribbled through so no one tries to steal the actual images. And obviously there's more, but I don't think I need to show ALL. If Shutterstock asks - I have proof. I had everything set up…. Or so I thought. But I realized, I would have had to literally create and change each and every file, for each and every person. It sounded fantastic… but it wasn’t as easy as I’d originally thought. But if a person wanted say the title of a heading changed on every page, it would take me a good 15-30 minutes to change the entire document. You see, while Microsoft Word and Powerpoint allow you to do a search and replace on the entire document… Publisher says it does – but it actually only does the search and replace on THAT page. So if you have 250 pages… you have to manually change each page. And if you delete all the pages so that you have one as a template, and replicate that to the number of needed pages – that’s the fast solution… except it’s not a solution if the person wants a dated version, because you have to manually enter the date. If I had hundreds of orders, it would take me *days* to customize for each person. Even if I switched it to Powerpoint, that still didn’t have the entire flexibility I had with Publisher, which is why I used Publisher… and Powerpoint still didn’t have the date issue solved. Even without the date issue, Publisher would still have taken me 5-10 minutes MINIMUM for each person for simple changes. That was a nightmare waiting to happen… because what if the offer I was planning to launch on Kickstarter, surprised me and did *thousands* of sales – as in thousands of people? It was definitely possible. NO ONE had anything like this. I realized I would NOT have been able to handle it, even with staff. ​For that reason, I did not release it to the public at that time. I thought about it again last year when I had an even larger amount of people asking me for it. I started selling some of my planner and journal templates… and kept getting asked for other changes. And that’s when I had the idea last year to turn it into a different kind of system. I loved the concept of Teespring and Gearbubble. In case you aren’t familiar with the concepts, they are print on demand marketplaces. The quick explanation is, you can go to one of those sites, create a product – for example a Mug, upload your image to that mug, set your pricing, and put it up for sale. When a customer buys it, Gearbubble processes the order, creates the product and ships it to the customer, then sends you your part of the profit. 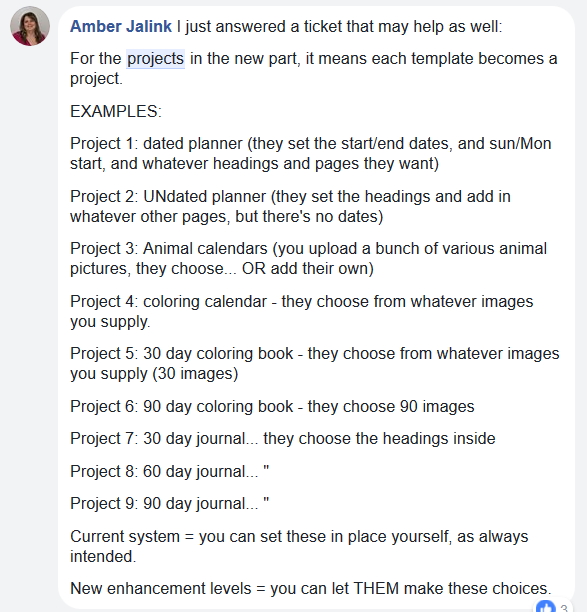 Last year, I had so many asking me to release my custom planner project as I said, and one day it hit me that I could create a similar system as Gearbubble, but for planner and journal type products. ​Yes, you can create a book on Createspace and sell it on Amazon… as long as it’s perfect bound. ​Yes, you can create a journal or planner and sell it on Etsy. You have to print and ship it yourself, unless you sell digital downloads. I will add – yes you can do it to a point with CafePress and Zazzle… but they limit what you can truly do and change, AND how much you can earn. And yes, you can go to lulu.com and do it – but again, you’re limited in what types of products, and, the amount of income you can earn. Because yes, each of these sites takes a solid commission out of your earnings. BUT NO ONE had a platform like Gearbubble for these types of products. I love GB, but they have a completely different set of products, and I’d never try to compete with that. So last year, I decided to launch a site called CreateDash. (That was my attempt at a short but catchy name… more on that in a moment). The concept was a person could come along, take one of my templates, customize parts of it and put it up for sale. But that’s when the nightmares began, in multiple ways. I’m not going to get into all the hassles we had with the software. Suffice to say (and for those who were following us last year), the software we used had to be completely scrapped, and a whole new system had to be put in place. I got new programmers, and they’ve worked diligently to get everything running the way it should be. The way our members expected. The way sellers would want it to be, and the way buyers would want it to be. Choose the product type to create – i.e., a journal with the number of pages for the product. Upload the front and back cover images for people to see what it looks like. Now many of you know that we’ve been working on this project to get it finished as it should be. And I’m excited to say – FINALLY – we’re almost ready to go. Right now, the only thing I have to complete ​is our server upgrade which should be done any day! While it covers other products as well – it’s very descriptive and straightforward. As my original project of my custom planner started with – who doesn’t want a custom product?? Ok - so this has been broken into 3 new phases. Let me explain this. The first phase is our main system, where you can upload your products for sale in our marketplace. The second phase is our enhanced system, which I’ll talk more about in a moment. The third phase will be where we take the 2nd phase into a completely new level that *NO ONE* has. So let’s cover what you can do with each phase so that you can have a solid understanding of each part. Right now, ​training is complete - and members have access! ​The seller's community has already been turned on so you can learn how to upload your products. And I was about to turn it on... we had one little glitch: our server kept crashing. (Bots attempting to attack/​overload the server, and our server is several years old and just can't handle it as it used to). ​SO - The *O​NLY* thing we're waiting for in Phase One - in the next week or so, our server guys are moving us to a newer/more powerful server. (Today is November 21st as I'm writing this, and we expect this willl be done ASAP, but I don't have the firm date just yet). ​As SOON as the server move is done, we go live! I simply don't want to turn it on to customers when it will be forced to go down for a few hours during the final switch. Yes, we have our Facebook group. This however, will help those who DON’T want to be on Facebook, have complete access to discussions as well. Th​e Seller’s community (already available to you) will also contain your training. T​raining WILL be added on an ongoing basis, so right away I will warn that it won’t have a huge amount in it “just yet” – but it will be definitely what is needed to get using the system. This will continously be added to and updated. Your training will include how to access your personal seller’s account inside the main system so you can start creating products. ​YES the cart opens for everyone just a few days ​after ​our server upgrade is complete! That gives everyone a ​couple of days of playing with the system, and helping us find any other bugs that might be there, or small improvements that need to be made​. ​​IMMEDIATELY – you are ability to join the community and get your training started. In​ about ​a week to a week and a half – ​your ability to actually officially SELL products will be turned on. That means, you can be creating and selling journals and planners – and so much more – within about 10 days! Before I explain Phase 2 and 3… I know the question some are asking is what are some products beyond journals and planners? Puzzle books like crosswords, Sudoku etc. There are two others I’m working on getting but keeping that off the list for the moment because they require a different printer. The paper quality is great – after a lot of testing and feedback, we now use strictly 24lb paper for the inside pages, which for those international is 90gsm. It has no show through or bleed through. At the moment, these books are all spiral bound, with the exception of calendars. We were going to use discs like the Arc system by staples, and while I did reach the manufacturer, there’s too much added costs involved to bring them in from Europe where the manufacturer is at this time, so I’ve decided to keep that for a future upgrade option. 1. The main system will have you simply choose the type of product you are creating, with the number of pages in the book. 2. ALL books are spiral bound at this time. 3. This system allows you to create the system on your OWN computer – instructions will be provided in the training area – so that you simply upload one single PDF of the product. 5. You will have the ability to set the name, price, and description of your products. 6. At this time, all books are full size, 8.5”x11, and either just before we open the cart in full or shortly after, you’ll be able to sell compact editions, which are 5.5”x8.5”. NO we do not and will not have 6x9 or other sizes at this time. If you want to do 8x10, that’s fine – just know that obviously the pages are being printed on 8.5x11 and no price changes will occur. Why won’t we do 6x9 when it might be popular? Simple. We’re saving your budget. I’ll talk more about this in the members area. 8. Your covers will always be in full color, with a special laminated TYPE coating, but it’s not the traditional lamination we were originally going to do. This is so much better. 9. Your inside products will be printed in Black and White – UNLESS you choose a full color inside. If you choose full color, the pricing goes up drastically. More details on all that inside. 10. Personalization: this will be a feature we will turn on in a couple of weeks after we make sure everything else is running smoothly with the cart open. This will allow your customers to add their name to a product if they wish (and if you allow it). There will be more features coming as we go, but these are the main ones for now. ​Yes, obviously we're still making a few tweaks to the layout of the descriptions​ but it'll all be ready to go shortly. So let’s talk about what Phase 2 is. This is where this system goes BEYOND anything out there… AND anything ANY of us have ever expected. Phase 2 is our new enhanced system. It does not replace the main one, it’s a separate part, kind of like GearbubblePro is to Gearbubble. Enhanced and different functionality and features. What if you could create your product from inside the system… and then let your customers actually edit that product to fit what THEY want! What if you could let your customers change the front and back covers to a picture of their own, rather than one you supplied? What if you could let your customers change the name on the product, to really truly personalize it from just adding a name to formatting the name, or more? 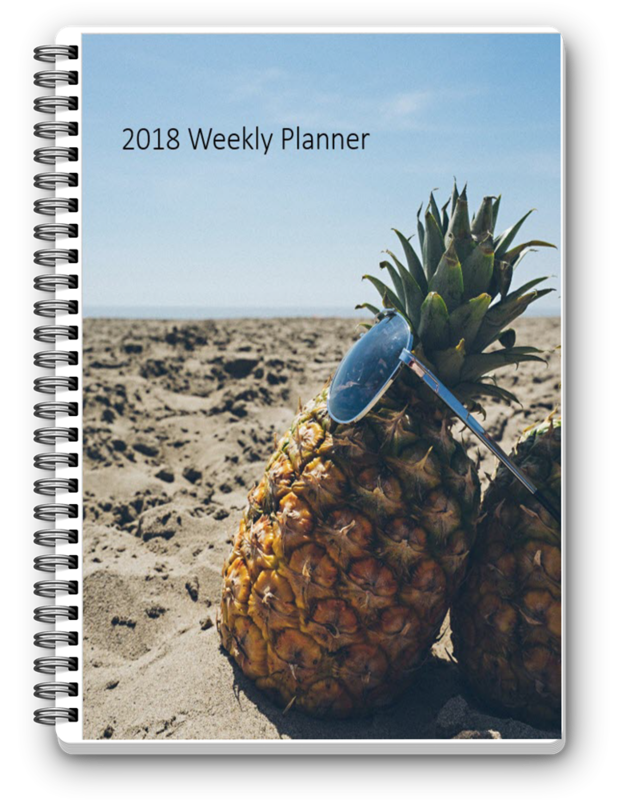 What if you could let your customers set their OWN start and end dates – supposing if you created a planner, that they could actually date the product themselves? What if you could let your customers instantly switch to a Monday week start verses a Sunday week start, WITHOUT having you create both products manually? 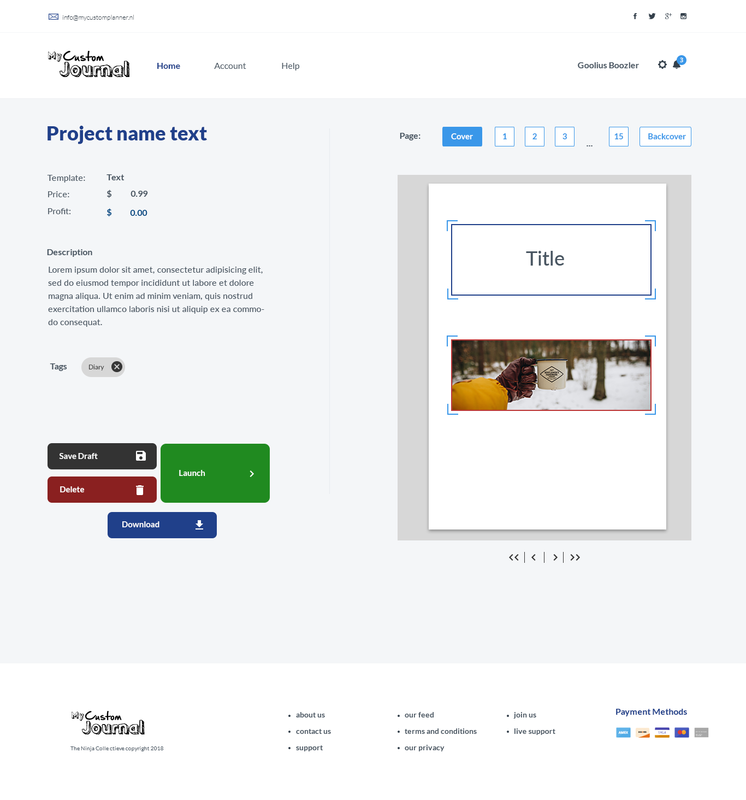 What if you created a journal, and you could let your customers add a box, or rename a box on the page to something they wanted instead of what you called it? For example, suppose you named a box “Gratitude for the day”… but they wanted to use that box for say, “homework assignments”? And you could let them change it? What if your customer wanted to add more pages to the back of their planner or journal without having to do it manually? What if, you created a recipe book, but your customer wanted to switch out some of the recipes for others perhaps because they’re allergic to some foods? YES, this will ALL be possible! You will have the ability to let your CUSTOMERS make far more changes and choices than even YOU created! Suppose you created a series of cookbooks. You have hundreds of recipes… but one person only wants specific recipes like gluten free, but main dishes and not desserts. Or they want a combination of main dishes AND desserts. And definitely NOT with something they hate, like say cottage cheese or zucchini or certain types of seafood they may be allergic to? Sorry – using this example because there are certain foods I just don’t like and feel like they’re wasted space in a cookbook ;)… imagine the food you dislike most here if this was you. One option is you create say 25 variations of your cookbooks… ok, that’s doable, except you have NO idea what a person doesn’t like, *OR* is allergic to! But what if… you could let your customer literally pick and choose, drag and drop the recipes – only the recipes that THEY want, and then order to book? But here’s the best part…. What if… they could PAY YOU for the access to be able to do that? What?? Wow that’s cool right? I would not only pay for something like that – years ago I spent *WEEKS* creating a cookbook compilation of all of my favorite recipes to give to one of my best friends as a wedding gift. That was 20 years ago. She still has it, and she still uses it all the time. And then I tweaked it for me, added more recipes in, and there isn’t one single recipe in there that I wouldn’t cook or bake, and I have literally cooked or baked everything in that cookbook several times. Can other cookbook creators say that? I don’t think so. Let’s take for an example something other than cookbooks. What if you had hundreds of coloring images? Sure you can create and sell the books done and as is, and I highly recommend that as an option. But wouldn’t it be more powerful, if your customers could take the images you provide, and they use our system to select the SPECIFIC images or types they want, for a TRULY customized book? While a lot of people like adult coloring, not everyone wants mandella type images. Some prefer animals… others prefer flowers… others – like myself – prefer a combination. But forced to buy an entire book for one type, well, honestly I don’t very often. To choose the images is hugely powerful. (That’s what I ended up doing for myself last fall – when I had a few spare minutes LOL). Have you ever looked at a coffee table book or photo book, and said you like half the pictures, but not the other half, and that can deter you from buying it? Well what if… you could create a series of books with your photographs, but let your customers choose WHICH pictures they want from your collection for a truly personal book?? What if… you were an artist who likes to draw kids type cartoons or artwork? Wouldn’t it be cool if you could let parents come in and create a truly personalized story book for their kids, by letting THEM pick the images, and maybe even the storyline that go in? Don’t you think parents, aunts and uncles and grandparents would pay a premium for that ability?? Of course they would. What if you were like me – and you had templates you wanted to customize… and you did – but maybe your customers want even more customizations? What if a person wanted to change the headings? Or what if they wanted to add pages, such as goal sheets or soccer schedules, something that fits THEIR life but that you can’t personally guess to add without entirely customizing each document? Remember I charge $200 and up for custom planners, and there’s typically a lot of time involved in this. Most customers won’t pay for that level of customization. Let’s say you create a 90-day planner for weight loss, that includes motivational quotes that you have added. You have 5 people interested in buying it immediately… but now you start getting email inquiries. Person 1 needs it to have additional tracking spots for say vitamins or medications they need to take daily. Person 2 wants to have motivational quotes THEY choose, not the ones YOU chose, in their edition. Person 3 is happy with the quotes you chose, but they want full color on the inside, and are willing to pay for that. Person 4 wants NO quotes, they’d rather have that space for appointment reminders. Person 5 wants to put coloring images in that spot you’d originally created for quotes… AND they want it dated, starting on a specific date. You would have to create 5 different products to satisfy these customers, which is great for versatility… but what about the next 100 or even 1000 people who also love your design, but want their OWN customized choices? This is EXACTLY what I went through, and still go through when I create my journal and planner templates that I sell in bundles. Wouldn’t it be really awesome if you could have a system that did that… but that you still didn’t have to do the printing?? THIS is the level NO ONE has that we’re adding. Complete game changer. I know, I really hate that phrase because it feels overused… but it really is unique for the marketplace as NOTHING exists like this, except people ARE asking for it. So let’s be clear here. Phase 1 lets you start creating and selling planners, journals and so on just like how it works to customize a shirt or mug on Gearbubble. This lets you start selling products by​ December ​4th, so you can build your offers and start earning money. Phase 2 arrives in roughly 4-5 weeks (or less). Phase 2 is the beta testing phase of this entirely new add on that lets you create essentially your own “document creation center”! Once you help us play and test it all out, then we roll out to Phase 3, which is the live environment to everyone (with even further enhancements)! That means, you can load in your styles and let people join to customize even further every detail you allow. Don’t make a mistake into thinking this is just putting a name on a product for personalization. It’s not – That’s going to be available in phase 1 after we turn the system on to the public in the first place. And when they hit submit and place their order, we print and fulfill it for you, as always! Did I mention, this is drag and drop software?? Yes, your customers will be able to either select with checkboxes, or drag and drop (where applicable of course), add dates with a click of a few buttons (once), so it’s at a crazy extreme level of customization! And YOU choose what they can customize… and it’s all 100% automated, except for the part where your customer does the input of choices of course. So think about how you create a shirt or mug on Gearbubble right? And in our phase 1 system. You create the product, the cover, the inside and the customer pays for it. You create the product – the cover – and just like HOW you created the cover and the inside? The customer goes through a similar process to customize for themselves! Very simple, easy to do. If they can click a mouse or move and drag it, they can work with it! ​And YOU Get paid premium pricing for this at whatever you want. And it’s not just for the every day person… it could be used by businesses as well. Think of a business who you might want to create a series of say Hair Salon appointment books… a lot of these salons are chains. But each salon IN the chain might want something different (location address, cover, specifics inside) – you could do this for local businesses as well, just like how businesses buy shirts for their brand, they could come along and CUSTOMIZE your products for THEIR brands too! And you get paid premium pricing for it. But wait. What if… you could take it EVEN FURTHER than that? How?? Seriously? How can we take it further than that?? ​If you’ve been online or on Facebook for any amount of time, you’ve likely heard that you should create a membership system right? Something that contains recurring billing so that you have predictable income. Now… ​What if you could take that entire part of the system – the customizations – and turn it into a recurring membership system?? Most people customize a product once right? What if you could create a type of subscription box that let’s them customize their product every month for a small monthly fee (plus cost of product of course)? But… beyond that – what if you wanted to create something a little different, like a newsletter or magazine – but didn’t want to have a ton of set up involved? Wouldn’t it be cool if you could create your own – drag and drop – right within the system so you don’t have to worry about knowing any other special software? What if… you wanted to offer the ability for people to access and use your system to customize anything they want – or even download digital editions… Every. Single. Month? YES, this phase will also introduce not only the ability to have a subscription box which is a physically mailed product every month or every 2-3 months according to how you set it up, but it’ll also provide the ability to deliver DIGITAL products each and every month! YOU charge for it! YOU get paid! Phase 3 allows you to in essence to have your own private members area complete with the tools for customers to make any changes they want – AND PAY YOU FOR IT! Yes, you can charge a premium fee – like say $10-$25 (or whatever you want) – for the ability for your customer to go through this level of customization. You know all those people selling printables on Etsy? They’re great right? But if a person wants to customize it… they can’t unless they recreate it, which then takes future sales away from you. Now – you can allow people to fully customize say a monthly food diary – pay you for it each and every month, and download a full 30 day copy every month!! AND you can have it dated (and remain that way) so it encourages them to buy for specific months! NO one has anything like this. If you want to do this on your own you totally can…. But you’ll not only be spending the money on the member’s area, set up of it all, script installs and payment connections… but you’d also have to have the drag and drop system created (which is hugely expensive). With Phase 2 of this system, you’ll be able to participate in the beta testing of this, WITHOUT all the extra costs! Did I mention you can have the enhanced system as private label, so no one has to know you’re using OUR system? Yep. That will be an option eventually as well. So here’s the release dates and processes. Phase 2 begins in an estimated 4-5 weeks. (I’m saying that. The programmers are saying it should be sooner, but I’d prefer to err on the longer side). Phase 2 is really short to be honest, it's mainly a testing phase so you can see everything, play with it, make sure everything works as it's supposed to. ​And Phase 3 begins after about 2 weeks of testing and fixes or improvements – then it comes out of beta and the enhanced marketplace goes into place. YES YOU DO GET ACCESS to start using it, it simply means the additional features of phase 2 and 3 will gradually roll out to you as we go. After that, we know there will be enhancements of course - everyone always asks for new features (although we're trying to cover as many as possible at the start). So like any quality project, enhancements will be ongoing based on YOUR feedback and requests. I know this can be a huge system, and the project is already in progress. ​Realistically you could open YOUR own ‘customized product’ system, selling directly to your customers, letting them customize (but not sell to others, that’s not part of this). So you have the market for anything you create…. But your customers will LOVE you for giving you these customizations beyond anything else out there. I’m sure by now your mind is racing with all the ideas. I’ve barely touched on the possibilities for you. So now please pay attention to this part so you’ll know how you can participate. I need to have a good number of members to help us beta test as we roll this out for proper testing. This will get the public familiar with the system, buying YOUR products, and it allows you the ability to earn money and build your followers for when you’re ready to be part of Phase 2. It also allows us to build this even faster. I gave the programmers a bit of an incentive to get this done faster than the scheduled time frame. (Now that we’re past the other issues in the main system – they are working to finish up phase 2). I’m sure you can see how this will create an entirely new level of opportunity – and income for you. In case you didn’t realize it, what we’ve just created is a system – like no one else – for a type of consumable product! Consumable products are items that people USE in their every day life, and need to replace. I’m not talking about the occasional mug they could have for years. I have some from when I got married 28 years ago, still being used. That’s not consumable. I’m talking about journals, notebooks, coloring books, puzzle books, planners – when people fill these up or the time/year ends – they need new! And they’ll buy repeatedly – especially from ​stores and products they love. Add in personalization to the fullest extent (customizations!) and they’ll likely be repeat buyers forever :) And the best part is, People buy these products ALL year round. ​So – ​earlier this year I’d opened up a small round of Founding member spots for just a few days. Since it’s been closed, I’ve been asked repeatedly if I would consider opening more spots. We weren’t ready for new members, and quite honestly, I didn’t want to reopen it with the issues we previously had. That means, we have only a few BETA spots remaining, so this is your last opportunity to join before we turn it on ​December 4th. Drop shipping membership – access to our API when it releases which lets you create 2 stores and sell up to 4,000 units (products) per month at no extra costs. ​This level is available for $49 per month, or $499 per year for those who are not in this level. Main system is phase 1 – it does not include phases 2 and 3. The ability to have us process the orders OR for you to add your own payment account so customers pay you directly (Phase 3). You will need to handle all support of course for your members. (As in, if they ask a question, you answer them directly). There will be a built-in helpdesk implemented (eventually!) that your customers will be able to submit tickets to you for help if they need it. If you prefer annual, this cost will be $1997 per year. If you prefer annual, this cost will be $4997 per year. ​​a very short time. Be forewarned that the price WILL go up by December 4th ​(or sooner). ​I reserve the right to increase the price back to its regular pricing, so please be aware of that. Sale pricing will NOT be held, and in fact will likely rise every few days until launch turns on. ​SPECIAL PRICING ​EXPLAINED: This is exclusively ​until we launch in full to the public. After that, the price will rise. ​YES your special pricing is locked in upon renewal providing your account remains active. ​SPECIAL PRICING ​EXPLAINED: This is exclusively ​until we launch in full to the public. After that, the price will rise. ​ You not only get special pricing, PLUS we give you 3 extra months FREE! (it 'may' show as a trial in jvzoo but it's not, it's simply how we have to show the ​extended time for you) This allows you immediate access ​to the main marketplace, and the extended time for the beta releases to be completed of the additional features. ​SPECIAL PRICING ​EXPLAINED: ​This is exclusively ​until we launch in full to the public. After that, the price will rise. ​ You not only get special pricing, PLUS we give you 3 extra months FREE! (it 'may' show as a trial in jvzoo but it's not, it's simply how we have to show the ​extended time for you) This allows you immediate access to the main marketplace, and the extended time for the beta releases to be completed of the additional features. ​But why are they monthly or yearly? First - monthly / yearly allows us to continue to build on the site and add new features as you want them. We do not make much (barely $1, and that won't cover fees) on the products that are printed. ​Other companies add a big chunk to their profits - by adding either the cost of the products, ​by increasing the shipping costs, or they take a % of a commission off the top before you even get paid. We don't do that. The prices we post are the lowest we can get (and they may adjust even lower based on volume as we go along). We do NOT take any commissions off your products. We do NOT add extra fees onto shipping - if we have a shipping cost posted, it's what we pay. (We're hoping to continually improve those rates as well). So by having the membership as a monthly or annual option, it allows us to continuously pay for the servers that support the site, the staff that is/will be involved in supporting you and your customers, and it allows us to develop further for your benefits. ​One time costs do NOT support the infrastructure and programming required to handle this system. How many times have you bought something "one time" only to find it gone after 6-12 months (if you're lucky it lasts that long). But it still costs, and I would be doing you a disservice if I didn't provide a proper way to support it. Now – I’m making this VERY clear: This is your ONLY chance to get these levels with this special pricing. ​When I start opening it up to others, when I start paying for ads or getting affiliates to run webinars – who earn commissions for that – there will NEVER be ​this pricing again​. That's the special you're getting. ​YOU ARE JOINING AT THE BETA STAGE. You get amazing special pricing – but you realize that we may still have some kinks to work out (with your help!) – and that you’re here to help us do that. We may not have many, or any at all – but – there may be, and that’s the point of this special sale. You help us ensure it’s working smoothly (and test as new features keep being rolled out) – and in turn, you get incredible special pricing that won’t be here again. 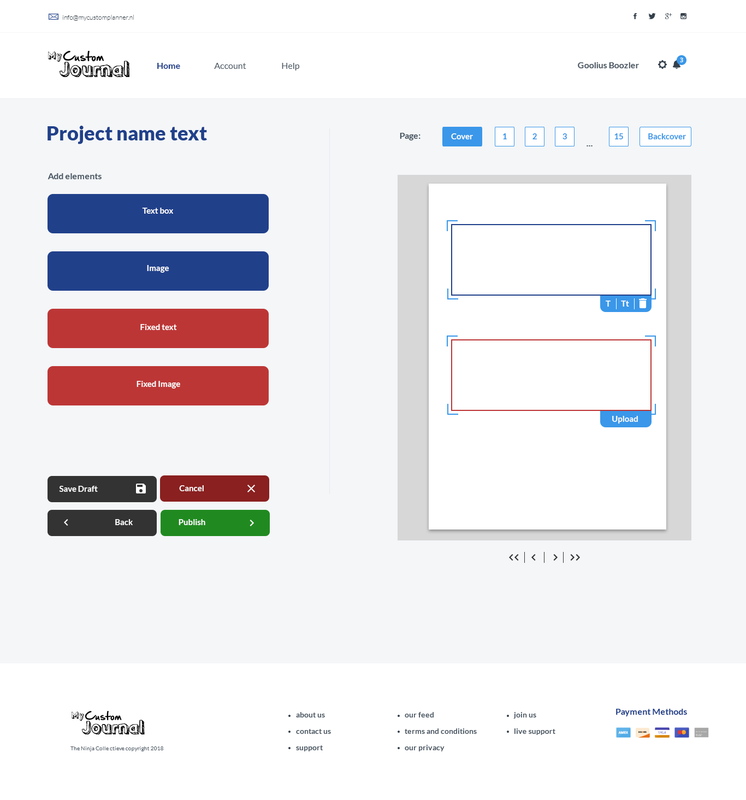 While the system will be available to begin selling within just a few days – please remember that we will be adding new templates and features EVERY single week. So if there’s something not there on day one – know that they’re being added. If you change a level in the future, you will have to pay the posted rate at that time – these special prices WILL NOT be held. Some of the templates will be reserved for specific levels. There will be some I hold back that are only released to those in the Enterprise and Ultimate memberships, specifically because of the designs and how they work. Remember – not everything is all about planners and journals. I assure you, the potential of Phase 2 and 3 blows everything out of the water that’s online already. And it can be applied to almost ANY type of book or digital product you can think of. YOU don’t have to try to figure out how to program. YOU don’t have to try to figure out something difficult. YOU don’t have to try to PAY someone tens of thousands to create this (because yeah, that’s what it costs). Think about how any product can be expanded upon. Think about how, for just pennies verses the potential, how will it change your 2018 and upcoming 2019? Imagine – IMAGINE – what will YOUR fall shopping season be like?? Because we WILL be fully 100% functional and just adding any further enhancements very shortly. That means – full blown potential ready to go for the biggest shopping time of the year. 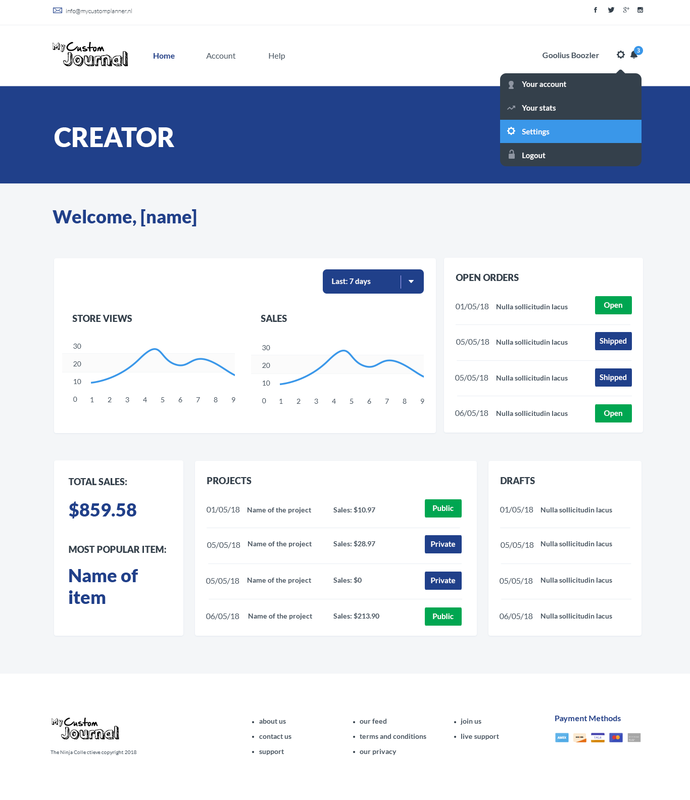 Can you IMAGINE the sales potential you’ll have THIS YEAR, that ANYONE NOT using MyCustomJournal will miss out on? The words innovative, revolutionary, game changer – are cliché and over used… and a lot of times, not applicable really. But in this case – as I’m sure you’ll agree – they actually do apply. ​And YOU Can be RIGHT at the start of it to roll YOUR products out for sale. What is it YOUR mind can come up with that this could work with? You do NOT have to be techy AT ALL to do this, I’ve made that EXTREMELY clear to my programmers that it HAS to be VERY user friendly, all the way around. I made them PROMISE that it will be drag and drop easy – yet SO tremendously powerful. I truly believe like mugs and shirts, this will make a LOT of people hugely successful, no matter what level you join at. ​In order to get in NOW - Remember​ this will absolutely have the membership prices rise once we turn it on to the public. ​*IMPORTANT* After you have completed payment, make sure to click "Return to merchant" or let the system send you over automatically. ​You'll then get a notice within 2 business days (max) to create your seller training account with all instructions. If you have ANY problems or issues, please submit a support ticket from the link on your receipt OR at the link on the bottom of this page. ​I hope I've spurred your brain with tremendous ideas, and I look forward to helping you make the rest of 2018 and all of 2019 and beyond FANTASTIC. ​Why will is it monthly? ​It's quite simple. To power the system, to keep programming and ongoing updates and new features added on as you ask for them, requires ​ongoing expenses. We do NOT earn much from the sale of the products, there's a minimal profit in there for us to be able to put into the development. Monthly allows for Premium memberships with Premium features, PLUS premium support. ​Why Paid memberships when you can sell elsewhere free? ​Drop shipping simply means, you create the product and get it up for sale. When a customer buys it, *WE* handle the printing and shipping to the customers. You do not have to worry about handling any packages in any way, which allows you to focus on your promotions and products. ​Why does it seem like there's so "few" Projects in the Phase 2-3 levels vs being able to create unlimited products in the main system? ​It's simplest to remember that a "product" and a "project" are not necessarily the same thing. ​Will there be free options for people to join? ​There will likely be free options for people to sell their products, but it won't be available until after we roll the entire system out to the full completion in the fall. Free members will NEVER have access to Phases 2 and 3 as a seller. Special pricing will not be available to free members. ​Why are we not opening up to free members yet? ​There are a few reasons for this, but for 2 main reasons: 1) while there are always exceptions, free members have no "firm interest" in making the system succeed, and in our experience, often make even more demands than paid members do, but are not willing to contribute to the costs. 2) If the system was opened to the public now to everyone free, it would not allow us the ability to ensure everything is working properly and we would be inundated with requests, orders, and possibly the occasional error. This allows us to roll out in stages. ​What happens if we go beyond the allowable number of products or sales? ​If you are a premium member (in level 1 only), if you reach above 4,000 sales per month, we ​may request you to upgrade to another level. If you are in Level 2/3, simply contact us. We may request you to upgrade to the next level, or may have an add on upgrade if necessary. But considering 500 projects is a LOT, it won't be an issue for quite a while.